Panama Papers scandal: What was the reaction in Russia? Having received from an anonymous whistleblower 11.5 million files from the database of the world’s fourth largest offshore legal firm, Panama-based Mossack Fonseca, the ICIJ has exposed corruption deals involving thousands of offshore companies. Even though most Russian newspapers wrote about the discovery of the Panama offshore bank accounts belonging to politicians and businessmen close to Vladimir Putin, public reaction to the scandal was rather muted. Russians exchanged jokes and comments about the information policy of the main Russian TV channels, which, unlike the newspapers, did not report on the scandalous leak. The publication of the so-called Panama Papers on April 3 may have been the largest leak in the history of world journalism, but in Russia – despite the inclusion of several of the country’s elite in the documents – it did not have the sensational impact it had elsewhere, partly because the population had already been warned about the publication of the revelations. Presidential press secretary Dmitry Peskov announced the upcoming "information leak" a week in advance, explaining that the Kremlin had understood that the exposé was coming due to the questions that journalists had been asking. 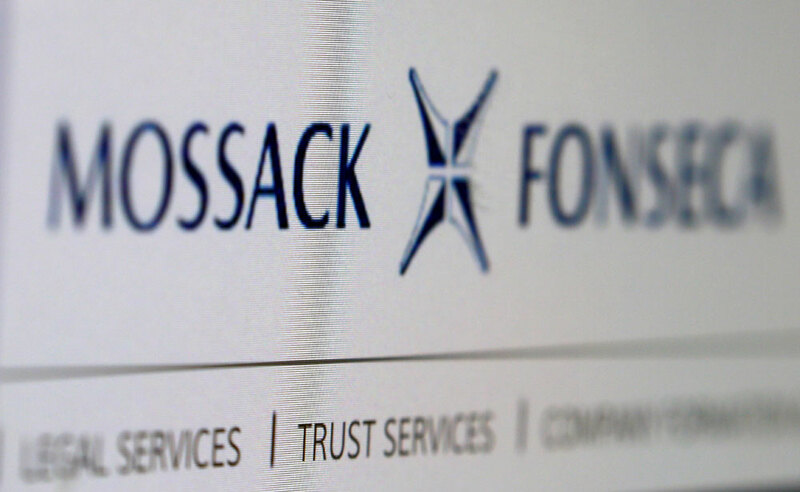 The offshore scandal, following an investigation carried out by the International Consortium of Investigative Journalists (ICIJ), was the result of the leak of about 11.5 million documents from the Panamanian law firm Mossac Fonseca and involves government officials from Iceland, the UK, Ukraine, Azerbaijan and other countries. Part of the report is dedicated to 12 Russian politicians and businessmen with close ties to Russian President Vladimir Putin who allegedly have $2 billion stashed in offshore accounts in Panama. Liberal opposition newspaper Novaya Gazeta, which was part of the ICIJ and participated in the investigation, published an entire special project devoted to the revelations on April 3, while Russia's leading newspaper, the business daily Kommersant, published an article on the scandal that included some information about the Russians involved. On April 4, Kommersant published a more detailed article, beginning with Dmitry Peskov's dismissal of the revelations. Peskov claimed the Kremlin is "disillusioned with investigative journalism” and expected “more qualified work” from an international consortium. Similar articles were published in other newspapers, excluding state-owned publications. State-owned TV channels mostly shifted the focus onto the investigation into Ukrainian President Petro Poroshenko and his Panamanian company, which holds the assets of the Roshen confectionery company. On the subject of the Russian part of the investigation, however, they claimed that the report had what they described as an “anti-Russian” character. State TV channel Perviy Kanal also quoted Peskov: "Even though the report mentions other countries and other leaders, for us it is obvious that the main target of these attacks is our president. Especially in the context of the upcoming parliamentary election and the presidential elections in two years." This reaction was deemed insufficient by Russian opposition politicians, and State Duma Deputy Dmitry Gudkov asked TV bosses to explain why they had not talked about the investigation in full. "In such a situation it is paradoxical that major Russia mass media channels do not have a reaction and report on the event exclusively with regard to foreign politicians or don't report it at all," wrote Gudkov. Another State Duma Deputy, Viktor Zvagelsky, said that he would sue Novaya Gazeta for publishing false information. The investigation mentions two offshore firms that belong to Zvagelsky. Like many other countries whose citizens are mentioned in the Panama Papers, Russia also declared that it would look into the media allegations about the Russians who have companies and accounts offshore. The Prosecutor General's Office will be responsible for this. Panama Papers scandal: Who is Russiau2019s Sergei Roldugin? But in general, no one is hurrying to make any conclusions. "At least two weeks are needed to understand what is in the investigation, what it is and how it can be used," said German Gref, head of state-owned lender Sberbank. However, some Russians – officials and businessmen – mentioned in the Panama Papers have already rushed to deny their involvement in the scandal. "I have no relation to these companies, all these years I've been making all the necessary declarations. They can easily be checked," said Minister of Economic Development Alexei Ulyukayev. The reaction to the discovery of the offshore databases was more animated on Russia's social networks, though users mostly discussed the national mass media's selectiveness of information from the ICIJ report. Another reaction was the stream of jokes about a violoncello: in the part of the Panama Papers report dedicated to Russia, Russian journalists revealed that Putin's friend, cellist Sergei Roldugin, had a key role in looking after the president’s money and called him "Putin's wallet." "I should have told my son to study the violoncello. Who’d have known," joked one user on Twitter. Unlike in Iceland, where thousands of people protested in front of parliament and called for the resignation of the country’s president over the Panama Papers revelations, in Russia just two people decided to demonstrate on the streets. Holding signs reading, "Putin is hiding money in Panama. Impeachment," they took turns standing in front of the parliament building and were eventually detained, along with a third person who had stopped to take a photograph. According to Natalya Zorkaya, a leading scientific collaborator for the department of social-political investigations at the Levada Center pollster, there was no use expecting protests with thousands of people, as happened in Iceland – such action is just not part of Russia's traditions, she said. "There have been many corruption scandals in Russia – with the prosecutor general [Yury Chaika – RBTH], the defense minister. Many things happened that one would think would have offended the people. But this does not push our people onto the streets because we don't have the inclusiveness that exists in European democracies, in those where society understands that mass demonstrations can have an effect. Unfortunately we still haven't reached this state," she said. On the other hand, she added, there is still no concrete proof of wrongdoing, and the idea that the government is corrupt is very old. For this reason there was nothing sensational in the news about the Panama offshores, she said.